Hey, Christmas is just around the corner. 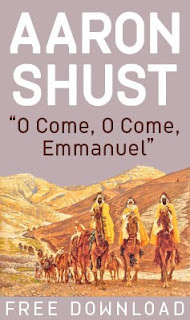 If you haven't started putting up your trees and get tuned into this festive mood, why not start to heat up with Aaron Shust's version of O Come O Come Emmanuel which you can download for free here. Thanks to his website. christmasy mood already? :D miss you guys.